Full details and program here. Undergraduate Philosophy Conference Saturday 29 April at Bilkent. Refreshments will be available between the talks. Was David Hume Really an “Empiricist” Philosopher? Is a Strictly Non-Normative Epistemology Plausible? minutes and a Q&A session of 10 minutes. According to a widely shared view among philosophers and cognitive scientists, mindreading—i.e., the ability to attribute mental states to others to predict and explain their actions—is an intrinsic component of the human biological endowment, thus being innately specified by natural selection within particular neurocognitive structures. Despite the popularity of this view, in the talk, I will address several reasons for concern about both the modularity and innateness of mindreading. I will first discuss some theoretical issues. In particular, I will claim that the modularity of mindreading is grounded in a conventional but simplistic view about the natural evolution of our cognitive capacities—i.e., the “modern evolutionary synthesis”—, which appears limited compared with the more contemporary ecological accounts. I will also argue that the modularity of mindreading presupposes a naturalistic account of representational content, and thereby subscribes to a particular view within a debate that is far from being settled. I will also argue that the modularity of mindreading is all but demonstrated by the empirical findings about the development of the understanding of belief in infancy and early childhood. In particular, I will show that the data from spontaneous-response false belief tasks admit alternative non-mentalistic interpretations. Moreover, I will argue that we do not have robust evidence of continuity in the development of alleged mindreading capacities from infancy to early childhood. I will therefore conclude that mindreading is more likely a biosocial capacity, that originates from the assembly of early-emergent basic capacities of action prediction and a variegated set of late-emergent executive and linguistic abilities. I argue that children’s success in (elicited-response) false belief tests depends on the connection of their initially scattered understanding of the practical commitments associated with the verbal ascription of beliefs. Accordingly, children’s active engagement with conversation about mental states is the critical factor promoting their acquisition of the capacity to succeed in the false belief test. The proposed view accounts better than the received alternatives not only for the capacities but also the limits beyond younger children’s acquisition of the so-called Theory of Mind—i.e., psychological understanding. Örsan Öymen at Bilkent 21 April. Friday 21 April, 2017, 1440-1630, room G160. The purpose of this paper is to explicate David Hume’s analysis of causality in the framework of his Epistemology and Philosophy of Religion. Hume’s theory of impressions, ideas, a priori and a posteriori reasonings, facts, existence and causality will be analyzed in relation to his objections against the cosmological and teleological arguments regarding the existence and attributes of God. The aim of the paper is to show that Hume’s analysis of causality can not be apprehended and evaluated apart from his arguments regarding religion. To avoid out of context interpretations of Hume will enable us to see that Hume’s main concern is not to challenge and discredit the principle of causality but rather to prove that the principle of causality can not be implemented in matters of religion and theology. Conference at Bilkent 1-4 June: Mary Wollstonecraft. Mary Wollstonecraft worked primarily on social and political philosophy, with an emphasis on republicanism, education and women’s rights. But she also touched on other topics: slavery, aesthetics, marriage, work, family, masculinity, virtue, reason, passions, theology and epistemology. The driving motivation for this workshop is not primarily to develop Wollstonecraft scholarship, but to show how the issues she discussed are still philosophically relevant and that her arguments sometimes can cast light on contemporary problems. A second aim is to show that the study of women philosophers of the past is a highly productive part of academic philosophy, and to model how it may be done. Detailed program, abstracts and commentators will soon be announced here. This project is funded through a Newton mobility fellowship. 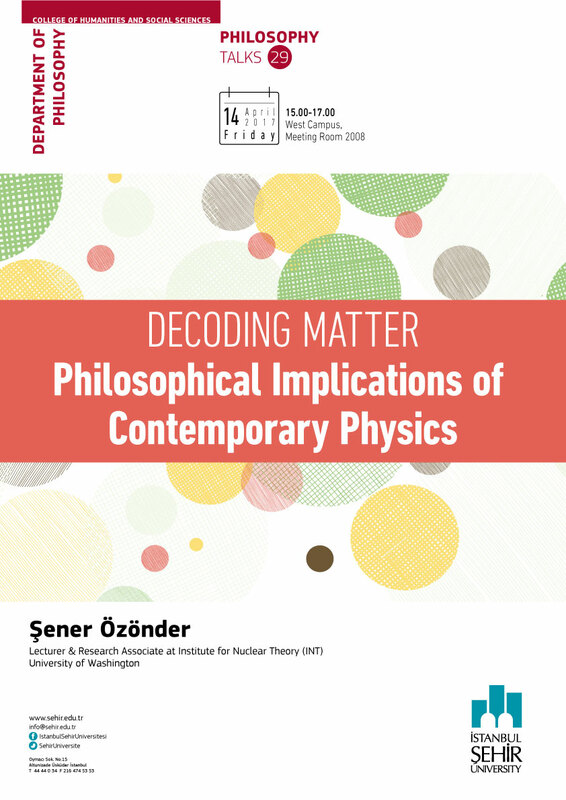 The workshop is organized by Sandrine Bergès and Alan Coffee, in co-operation with the Department of Philosophy at Bilkent.